This information is provided by Atlantic Lady. Please confirm all details direct with them prior to booking. 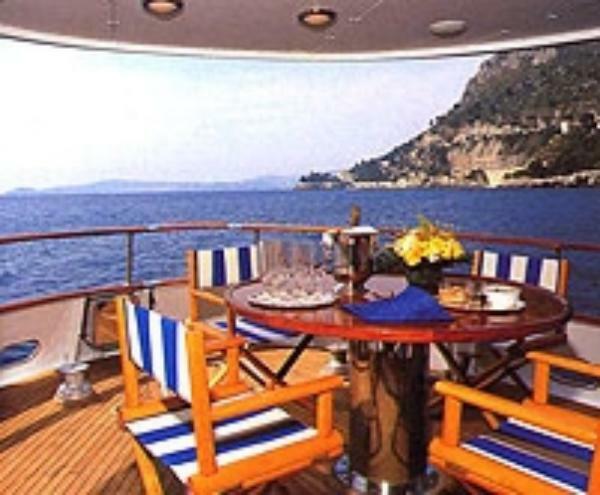 Yachting Limited neither endorses Atlantic Lady nor guarantees the accuracy of this listing. With classic little ship lines and enviably high standards, Atlantic Lady always turns heads wherever she goes. Her recently rebuilt Vosper stabilisers make her a very comfortable vessel and, given her remarkably low fuel consumption, she is a most economic prospect. 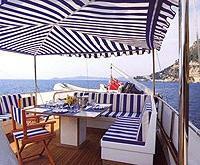 Extensive teak-decked areas ensure the finest in al fresco entertainment, relaxation and dining. Skilful design ensures that there is more than enough space for undisturbed relaxation or sunbathing: Flybridge Deck � with dedicated fridge, ice-maker, barbecue, cushioned recliners and shaded seating area; Sunbathing Deck, fully cushioned, situated forward of the Flybridge; Main Deck, Aft Deck and Fore Deck. All access between decks is by stairs � ideal for those for whom ladders might pose a problem. 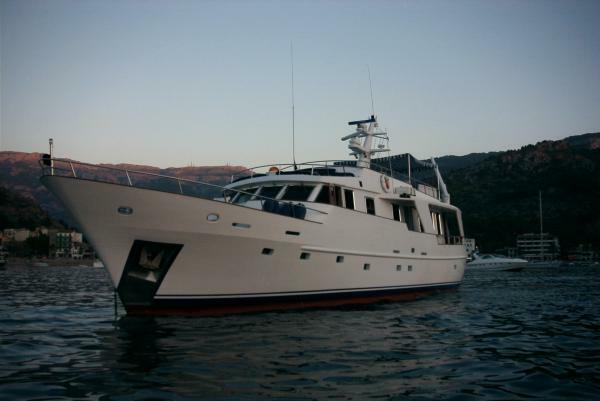 With a Double Master Stateroom and two Twin Guest Staterooms - all with private marble-tiled bathrooms - plus a fourth cabin fitted with upper and lower bunks (ideal for younger guests) Atlantic Lady can cruise with twelve passengers, including a highly experienced and personable crew of three. An haute cuisine chef can also be added to the team. There are three dining areas to choose from, each with their own particular atmosphere. Inside, a separate mirrored Dining room, which can seat eight, leads off the main saloon. 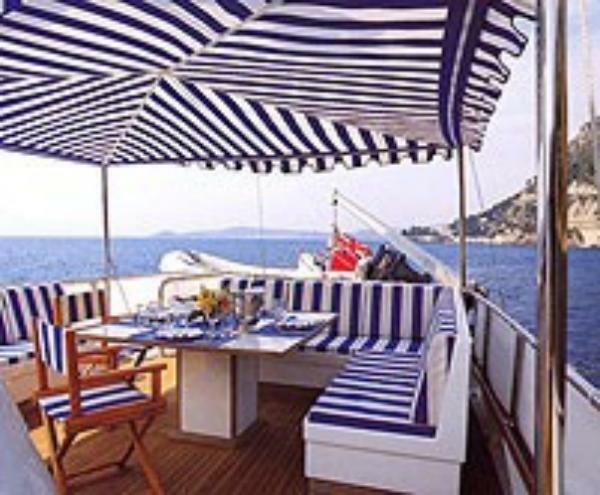 Outside is the Aft Deck with its circular table and aloft there is the Flybridge Deck where guests can be served from the galley or barbecue under the shade of the traditionally blue and white striped bimini or awning. 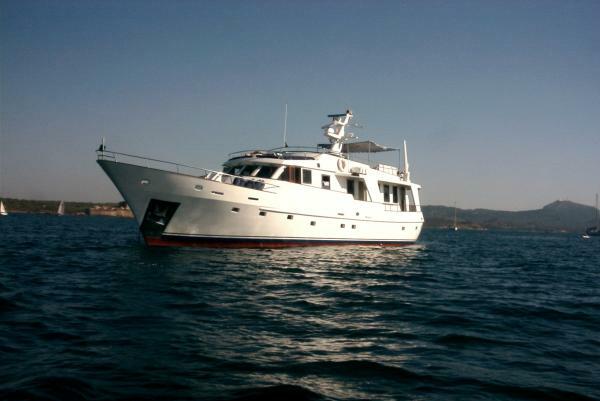 Recently fully certificated, matriculated and MCA coded Atlantic Lady is currently lying in Palma de Mallorca, fifteen minutes from the airport, but can be relocated by agreement anywhere in the Mediterranean. 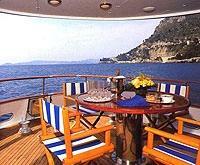 In addition to cruising, she is readily available for events and corporate entertaining. Please browse through our site where you will find everything you need to know about Atlantic Lady. 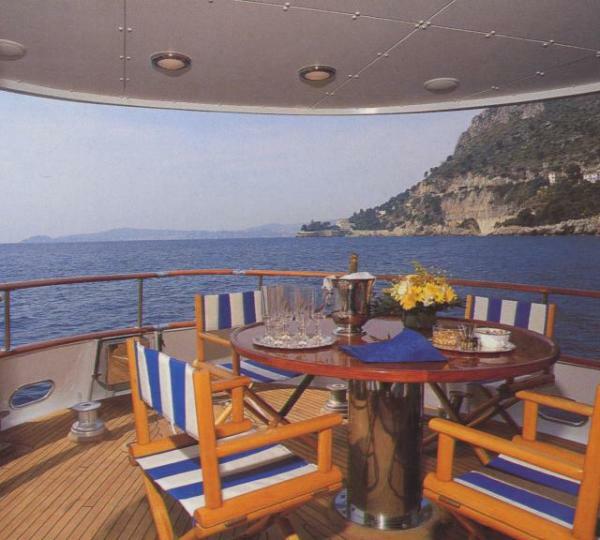 The details of the yachts below are indicative. 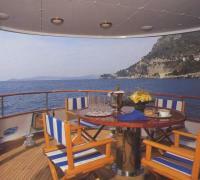 The specifications (including the number of berths, cabins and heads) of Atlantic Lady's yachts may vary. Please confirm the details with Atlantic Lady. There are no user reviews for Atlantic Lady yet. Be the first to add a review.